Mindfulness is in the mainstream in 2018. Hundreds of blogs now cover the topic. Moreover, big mainstream blogs on related self-improvement topics are covering Mindfulness more and more. Mindfulness combines the best of Eastern Philosophy and Western Psychology. It’s been proven to boost creativity, focus and mood regulation. University-level clinical studies also show it is effective in reducing anxiety, depression and blood pressure. And not just by small amounts. One study showed Mindfulness effective in reducing depressive relapse by more than half. Better than anti-depressants. The reductions in stress and anxiety are or similar magnitude. The power of Mindfulness and other spiritual practices of awareness is phenomenal. No wonder blogs are covering them more and more. If you want a calmer, healthier, happier life read on. If you want to beat cancer, eliminate stress and avoid Alzheimer’s disease check out the blogs below. They cover health, happiness, mindfulness, meditation and yoga. Some are Buddhist, but most aren’t. Between them you can’t go wrong. Headspace is the inspiration of two creative collaborators. Andy Puddicombe spent 10 years training as a Buddhist Monk, finally being ordained in Tibet in 2001. Rich Pierson began as a marketing and brand development specialist. Together they have developed one of the webs most popular apps to aid meditation. Several clinical studies, including one by UCL, find Headspace decreases workplace stress. Office workers who used the app show significant reductions in anxiety, depression, insomnia and blood pressure as well as increased productivity at work. Mindful is largest Mindfulness magazine. Designed solely to help people take time for what matters. Subscription to the newsletter is free and blog topics cover a range of mindful topic on living well, sustaining a meditation practice and decreasing workplace stress. Subscription to their magazine is as little as $24 for digital or print. Topics delve into the science of mindfulness and all aspects of mindfulness can improve life and well-being. Calm offers a range of meditations. Each one comes with guidance and sounds of the natural environment to put you in the perfect relaxed mood. Meditations cover everything from calm, loving-kindness and coming back to the present. Designed for all parts of the day, they alleviate mood and improve focus and concentration. Calm’s Master-class also delves into how Mindfulness techniques can effectively quell craving of all kinds. Lori Denchen began Tiny Buddha as a Twitter account sharing short words of wisdom on a daily basis. Within a short time she had found an audience and launched the site in 2012. Now it’s a home to millions who love to share simple wisdom that they’ve learnt, more often than not the hard way. On the site you’ll find posts on happiness, love, relationships, change, meaning, mindfulness and much more. All with simple wisdom to apply to complex lives. With one of the largest Facebook followings on the web Peaceful Mind, Peaceful Life has a genius for sharing words and phrases that will boost your day. Widely shared and much loved, their posts are featured by top bloggers and beginners alike. Their website covers a range of topics related to peace, love, happiness and how mindfulness helps with all these. Started by a mother and daughter team, both know they’ve started a movement that will bring lasting change to the world. One of the largest Mindfulness websites, Elephant Journal features leading authors in the spirituality and mindfulness space. That must be why its’ articles are so popular, with many consistently getting over a hundreds of thousands of shares. Anything and everything related Buddhism, Spirituality and Mindfulness is covered on the site. As the founder Waylon Lewis will tell you himself, he doesn’t have all the answers, but you could do no better than visit Elephant Journal to make a start. Zen Habits has over 2-million readers who want know how mindfulness practice can help them simplify, focus and improve productivity. But it’s not just about organizing your day for maximum achievement. The site is about values and designing a well-lived life. As long-term readers of Zen Habits will attest it’s hard not to stay around the site a while and not end up being more present, compassionate and committed to other people. A pillar of the web guaranteed to give you focus in uncertain times. Sam Harris is author of the best selling Waking Up. He’s an eclectic mix of neuroscientist, philosopher and mindfulness populariser. His extremely popular podcast explores some of the most important questions about the human mind, society and current events. This site is for anyone who is interested in the intellectual side of the Mindfulness argument. The popular podcast features interviews and discussions with an array of popular speakers and authors. Richard Dawkins, Robert Wright, and Daniel Goleman and tons of others. Founded by Sonia Jones, Sonima is a leading site for Yoga, Meditation, Fitness and Healthy Eating. It contains everything from healthy food recipes to nutritional advice, to guided meditation and yoga tutorials. In short, everything you need to live a healthy happy life. The fitness and yoga sections include tonnes of videos that provide easy to follow instruction for simple exercises that anyone can follow no matter what their starting fitness. In whatever way you want to get healthy this site contain plenty of food for thought. Wildmind offers one of the worlds top Buddhist mediation apps. Started by a Trithana Buddhist teacher the site is focused on Buddhist Meditation and how that helps people navigate the complexities of life. It’s thus accessible to anyone whatever the religious or secular tradition. The site provides free meditation guides in a variety of languages and there’s a range of guided meditation CDs and MP3s available. These include the popular Mantra Meditation, Six Element Practice and the Loving Kindness Meditation. David Cain has been exploring human nature on-line since he started his site in 2009. He’s always had an interest in human society and the intricacies of human experience. His articles cover the skills that schools don’t tech you. Many of those relate to Mindfulness. David is no longer as self-conscious about his mediation practice as he once was (he first started he hid in the bathroom). Now he runs Camp Calm a 30-day virtual retreat which helps people learn the basic of Mindfulness Meditation. Yogadork blurs the line between Yoga and popular culture and in doing so makes Yoga accessible to all. The site covers all the latest Yoga news with its custom wit and wisdom. But it’s more than just a blog. It’s a community. Beginners and master yogis alike convene to chat about all things Yoga. Articles like Yoga When the World Has Gone to Hell and What it’s Really like to Teach Yoga after Kids. Stuff like this isn’t pulling its punches. They tell you how it is and don’t shy away from the dark side of the Yoga world. Giovanni Diensman’s, Live and Dare, stands out for the quality of research and the depth and insight of his articles. Giovanni has been on the path to personal growth and deep meaning for the past 20 years. Now in his mid-30’s he’s notched up 8,000 hours of meditation and developed a comprehensive spiritual and personal growth philosophy. His blog is the most popular non-sectarian meditation blog on the web when engagements and links are taken into account. It is considered one of the most influential meditation blogs on the web. The Conscious Lifestyle magazine is a print and online magazine that delves into all things related to spiritual awareness and compassion. It’s dedicated to helping people become a better version of themselves. Believing that conscious awareness is the key to solving humanities problems. Their article and resources provide support to all those who have learnt not to identify with the mind. A go to resource for all those on a path to prosperity, freedom, peace and flow in life. Mindfulness for schools is dedicated to bringing mindfulness into the classroom and stopping the ill affect of toxic stress of school communities. Their website includes an in-depth look at the latest research on mindfulness as well as the results of their own studies. And the evidence is overwhelming. Mindfulness can help with a raft of kid related problems, making them calmer, happier and improving well-being. Mindfulness for schools offer educators practical skills for self-care, facilitation and communicating with youth. They provide simple, effective mindfulness practices that can be integrated into the school day and adapted for diverse environments. Mary Jakob is serial entrepreneur who originally started with Write to Done a popular web-site for Fiction and Non-fiction writers alike. Later she developed Good Life Zen. Home to those who want to create a happy, purposeful and fulfilling life. Mary is a Zen Master, a mother, and a 5th Degree Black Belt. Good Life Zen covers everything form from How to Discover Your Enthusiasm for Life, How to Embrace Change and Find Peace of Mind and different Ways to Stay Productive even when you are tired. If you are looking for a calm, peaceful life, this is surely a good place to start. Budhamania is a blog and podcast sharing Buddhist wisdom to those who want greater peace and balance. It teaches the practice of Mindfulness and related meditations. They offer a free course. How to bring Peace to your Life with Mindfulness. Bhuddomania doesn’t sugar-coat it’s advice. Success does not bring happiness. Western Civilization is not set up to promote peace and happiness. Budhamania isn’t explicitly a Buddhist website nor is it fuzzy or gimmicky. Instead you get heart felt advice from life lived mindfully. Everyday Mindfulness is a secular website designed to help you embed your practice into everyday life. The site takes a light touch and encouraging approach to helping you achieve a regular daily meditative practice. As they say, Mindfulness is a simple process any human being can undertake and the techniques are easy and available to any human being free of charge. As times passes, mindfulness becomes easier and easier to develop. Being in the present moment becomes as much of a habit as our normal state of distractedness. About Meditation is one of the top sites for meditation. It hosts some of the worlds best teachers, tool and training all in one place. It has a popular blog, podcast and a range of free and paid for resources. A great site for the mediation generalists. It cover Chankara Meditation, Meditations for Sleep and Relaxation and Music to Change the Brain. Tara is a leading meditation teacher, blending Western psychology and Mindfulness together. Working as both a psychotherapist and meditation teacher. She found herself naturally blending these two powerful traditions together. Over the course of her extensive education, she’s trained under some of the leading Buddhist teachers of recent years, including Joseph Goldstein and Jack Kornfeild. She gives presentations, teaches classes and runs workshops. Of late her practice has evolved to training psychotherapists to integrate mindfulness strategies into their clinical work. UCLA MARC brings UCLA’s renowned mental health research institute to the ancient art of mindfulness awareness. It supports rigorous research under clinical conditions. 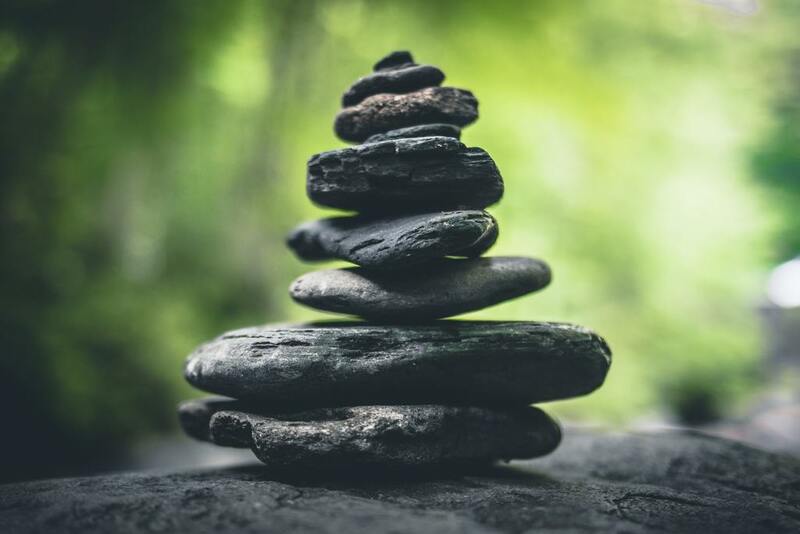 Their centre offers classes and workshops to the general public, teaches the skills of Mindful awareness across the lifespan, and foster and publicises research on the scientific benefits of mindfulness meditation. Their site is a great place to pick up some free meditations as well as check out all the latest mindfulness clinical research. Brahma Kumaris is a worldwide spiritual movement dedicated to personal transformation and world renewal. Founded in India in 1937, Brahma Kumaris has spread to over 110 countries on all continents and has had an extensive impact in many sectors as an international NGO. However, their real commitment is to helping individuals transform their perspective of the world from material to spiritual. It supports the cultivation of a deep collective consciousness of peace and of the individual dignity of each soul. Brahma Kumaris is the largest spiritual organisation in the world led by women. For over 80 years their leadership has been characterised by steady courage, a capacity for forgiveness and a deep commitment to unity. The Conscious Life contains information, tips, ideas and opinions on how to achieve total health by taking a holistic approach to living. It sees most of our health complaints as a result of an imbalanced lifestyle, stress, poor eating habits and unskilful management of our emotions. The holistic approach looks at other aspects of your life (body, mind and spirit) to address the root cause of problems. As their website says, sometimes simple adjustments to the way you live could dramatically reduce the amount of pain you experience, greatly increasing your satisfaction with life. No list of Mindfulness practitioners would be complete without including Sharon Salzburg. As all good meditation practitioners should do she gives away her meditation for free. Now in its 8th year the Real Happiness Meditation Challenge is a powerful way to explore what meditation can offer. For the whole month of February Sharon freely offers a wide variety of techniques including breath meditation, mindfulness and loving-kindness to over 19,000 participants. 25 of the best blogs dealing with Mindfulness. Many cover mindfulness in depth and some are dedicated to it. Some touch on it lightly, while their focus is on other concerns. A few are Buddhist, but most are not. And since a core component of Mindfulness is Meditation, I included several of the best meditation sites online. Do you want to be more Zen? Did you make a New Years Resolution for 2018? If you did and any one of them touched on happiness and health then Mindfulness may be for you. Mindful awareness could soon make you a calmer, happier person. More creative, focused and energized. More relaxed, aware and in tune with your emotions. Ready to tackle 2018 in style.